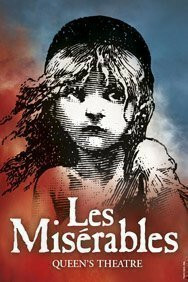 The longest running musical in the West End, Les Miserables has extended booking at the Queen’s Theatre on Shaftsbury Avenue through to 26 March 2016, showing once again that this giant of a musical is still as popular as ever. Set during the revolution in 19th century France, Les Miserables tells the epic and moving story of Jean Valjean and his escape from the clutches of the cruel head of police Javert. The tale of love, survival and redemption has been seen by over 65 million people and continues to be the audiences favourite all over the globe. Created by Claude-Michel Schonberg and Alain Boubil, adapted from the novel of the same name by Victor Hugo, Les Miserables is directed by John Caird and Trevor Nunn. The show was first seen back in 1985, at London’s Barbican Theatre, where critics panned it. However, due to phenomenal demand from audiences, the production transferred to the Palace Theatre where it played to sold-out houses until 2004, when the production moved down the road to it’s current home at The Queen’s Theatre. The current cast includes Emilie Fleming playing Cosette, David Thaxton as Javert, Carrie Hope Fletcher as Eponine, Celinde Schoenmaker as Fantine, Peter Lockyer as Jean Valjean, Tom Edden as Thenardier, Wendy Ferguson as Madame Thenardier, Michael Colbourneas Enjolras and Rob Houchen as Marius. Les Miserables is now booking at The Queen’s Theatre until 26 March 2016. Could The Girls musical transfer to the West End? 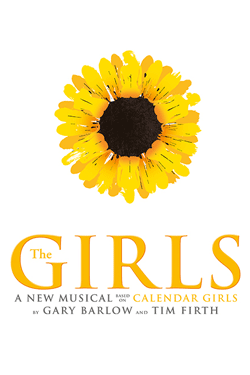 Tim Firth and Gary Barlow’s new musical based on The Calendar Girls is due to open in Leeds this year, but the question is, do the duo have their eyes set on a West End run? The musical, aptly titled The Girls underwent a workshop period last year, with a stellar cast of Sally Dexter, Harriet Thorpe and Joanna Riding. Now, the musical comedy is due to open at the Leeds Grand from 14 November to 12 December 2015, followed by a month stint at the Lowry in Manchester from 13 January 2016.